I’m a huge Nutella fan! I can’t have a jar in the house without sneaking a spoonful now and then! 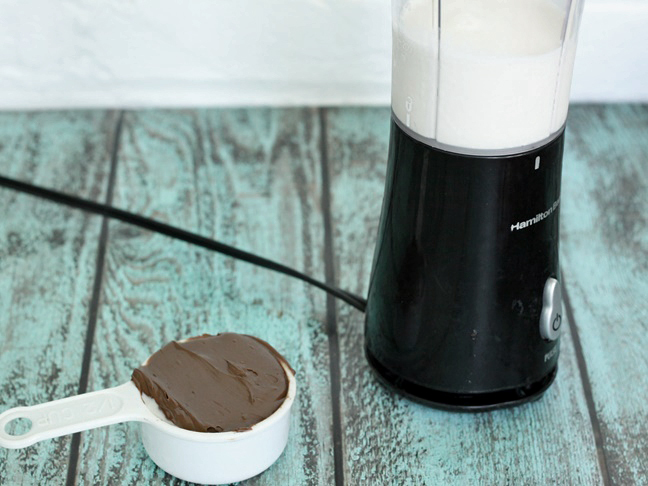 Combine that with chocolate coating and the coolness of a frozen treat, and you’ve got a definite summer hit! 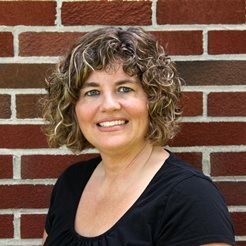 The kids will love these, and the grown-ups will too! 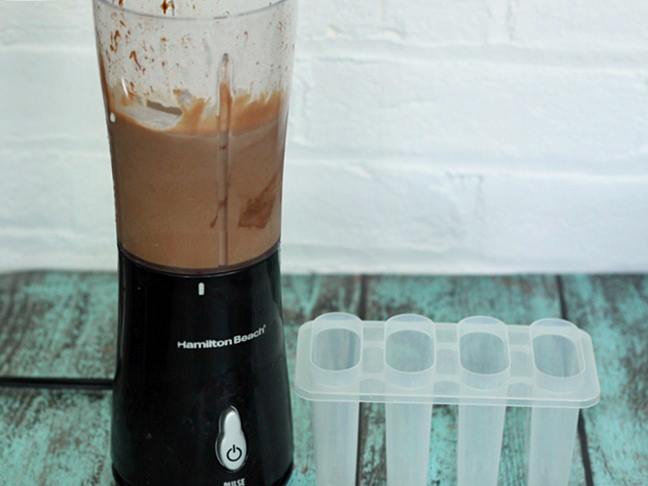 These Nutella freezer pops have a rich and creamy flavor. They’re perfect for an end of the summer pool party, or for fun on a hot afternoon. 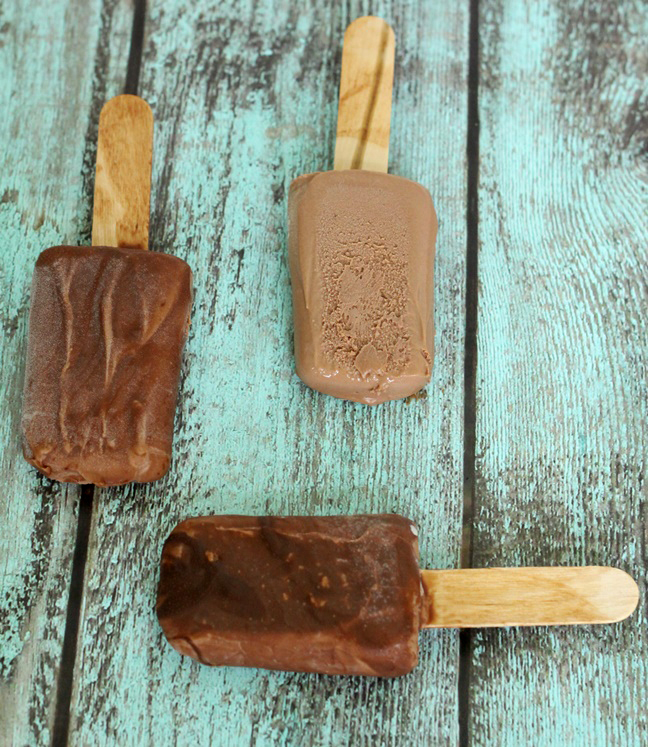 What's not to love about these rich, creamy, chocolate-y homemade pops? Step 1: In a blender combine the Nutella and the heavy cream. Step 2: Fill each popsicle mold with the Nutella mixture. If you don’t have popsicle molds you could also use small disposable plastic cups to make your freezer pops. Step 3: Place a piece of plastic wrap over the top of the popsicle molds, and secure it in place with a rubber band. Step 4: Add a wooden popsicle stick, or if you have ice pop molds that already have a stick and a top you can add those instead of the plastic wrap and wooden sticks. Step 5: Place the popsicles in the freezer and freeze for a couple hours until set. Step 6: Remove the popsicles from the mold by running them under warm water for about 15 to 20 seconds. Step 7: Place the freezer pops back in the freezer to make sure they’re frozen on the outside. Step 8: Shake the Magic Shell really well and hold the freezer pops over a bowl or piece of waxed paper. 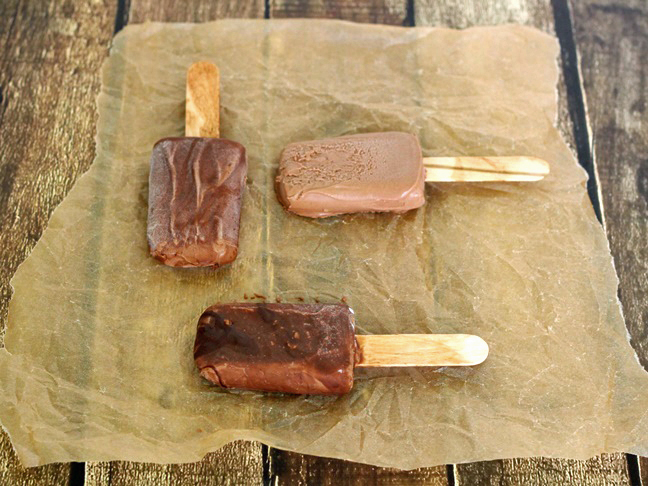 Pour Magic Shell over the pops and place them back in the freezer for a few minutes to harden the chocolate. 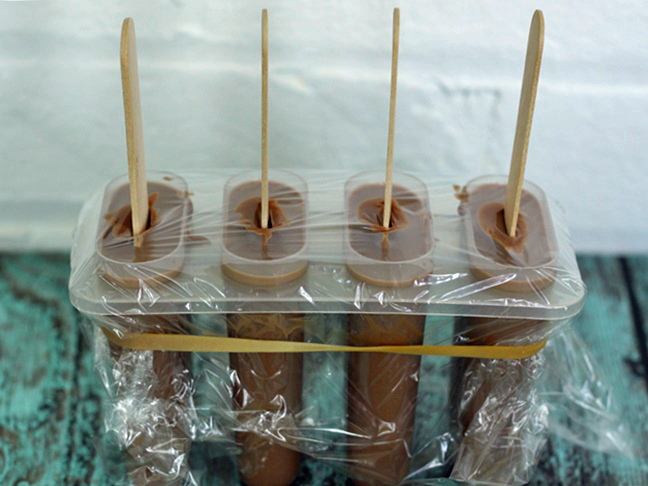 Step 9: You don't have to cover all the Nutella freezer pops with chocolate---they're just as good plain! Enjoy!